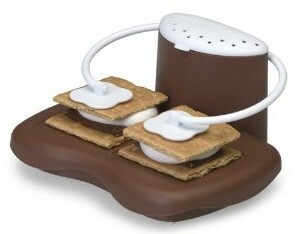 Microwavable S'mores Maker only $7.96 Shipped! This Has Great Reviews! Here's an EASY way to make S'mores...no fire needed! You can get a microwaveable S'mores maker for only $7.96 shipped on Amazon right now! To get this offer, look on Amazon's right sidebar for the store called X-treme Geek, it's listed as $6.97 with $0.99 for shipping. This innovative product has impressive reviews!